Product prices and availability are accurate as of 2019-04-26 04:33:12 UTC and are subject to change. Any price and availability information displayed on http://www.amazon.com/ at the time of purchase will apply to the purchase of this product. 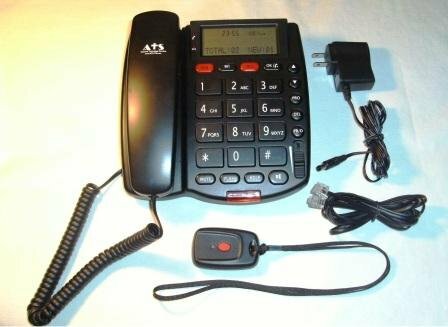 We are delighted to stock the brilliant Personal Assistance Voice Dialer II (PAVDII) No Monthly Fee Medical Alert System. With so many on offer recently, it is good to have a make you can trust. The Personal Assistance Voice Dialer II (PAVDII) No Monthly Fee Medical Alert System is certainly that and will be a perfect buy. For this great price, the Personal Assistance Voice Dialer II (PAVDII) No Monthly Fee Medical Alert System is widely recommended and is a regular choice for many people. ATS have added some great touches and this results in good value. The NEW Personal Assistance Voice Dialer II The easiest way to keep your independence! Just Press the panic button and help is on the way! 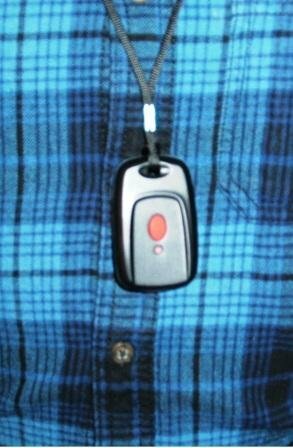 - Instantly calls up to 30 people & plays your personalized emergency message. When a call is received press 0 and open the full 2-way communication through the built in speakerphone from several rooms away. 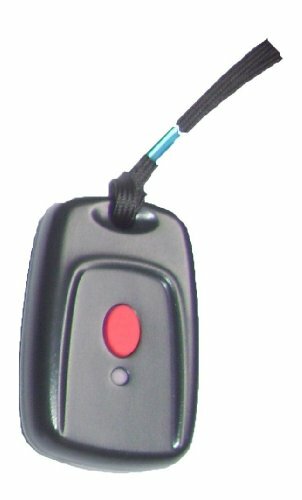 - Pacemaker Safe - Waterproof (shower or bathe with it)- Amplified Volume up to 40dB - Amplified Ringer up to 90dB - 100-150 Foot Range - Never pay a monitoring fee! No Monthly Fees!Telephone and Caller ID Features: - FSK/DTMF Emergency Talking Caller ID Speakerphone. The system speaks the phone number when a call comes in. 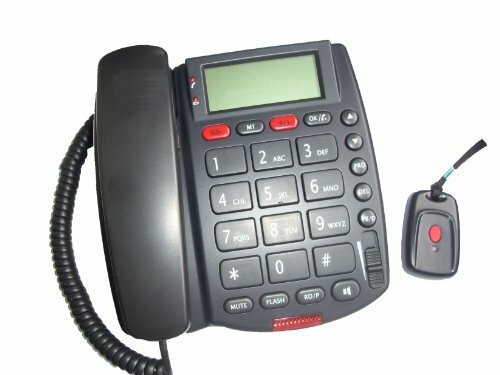 - Up to 64 Message Memories - Wall Mountable - Capable of dialing a 22 Digit Telephone Number. - 16 Digits of Name Display - Big Buttons for Dialing. - Talking Buttons - Built-in Phonebook with up to 30 Memories - Real Time Clock Display - 3 One-Touch Dialing Buttons on Base Console (SOS, M1 and 911) - 5 Levels of LCD Contrast Adjustment. - Flash Time: 100/300/600ms Selectable - Tone/Pulse Selectable - Battery Backup for up to 12 hours - In-Use Indicator - Low & No Battery Indicator (4 x AA Alkaline batteries - not included) - Ringer Volume Control. - Ringer Light - (Flashing light lets you see that the phone is ringing) - Handset Volume Control (Adjust the volume up or down) - Speakerphone Volume Control (Slide control to set the speakerphone volume up to 40dB) - LCD Back Light (Allows you to see the screen even in total darkness) - External power: DC 9V 300mA adapter (Included) - Panic Button frequency: 433.92 MHz (Will not interfere with any other electronics or pacemaker) - Panic Button range: 100-150 Feet from base (depending on environment) - Panic Button battery: 23A 12V Alkaline battery (Included) - PRO (program) ON/OFF switch control (Protects unit from being reprogrammed accidentally) - Answer incoming calls through the speakerphone by pressing the panic button.